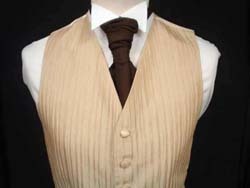 Here you can view our huge selection of waistcoats. We stock both plain and pattern waistcoats in a huge variety of colours to suit everyone's taste. 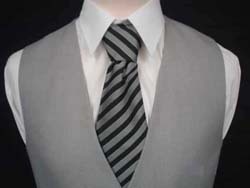 We also have an extensive range of cravats and ties to match or complement each waistcoat. If we don't have a colour in a cravat or tie that you want, if you provide the material, we will make the neckwear for you. See our F.A.Q. page for details on hire.